The Pantry is a community food ministry located in Douglasville, GA. We are open Saturdays from 9AM until 11:30AM and we provide free canned goods and other food items to local families in need. The Pantry needs not only financial support but also support from volunteers that can lend a hand on Saturdays or join our long-term team in providing key logistical support. The Pantry works hard to responsibly and strategically stretch every dollar we receive! Give online through our secure link and know that each dollar goes to feed a needy family in our local community. We are open Saturdays from 9AM until 11:30am. We are closed on the fifth Saturday in any given month. Please see below for a list of all Saturdays & Holidays that The Pantry is closed. A variety of shelf-stable food items such as, canned goods, produce, fruit and other foods are provided at no charge to local families in need. 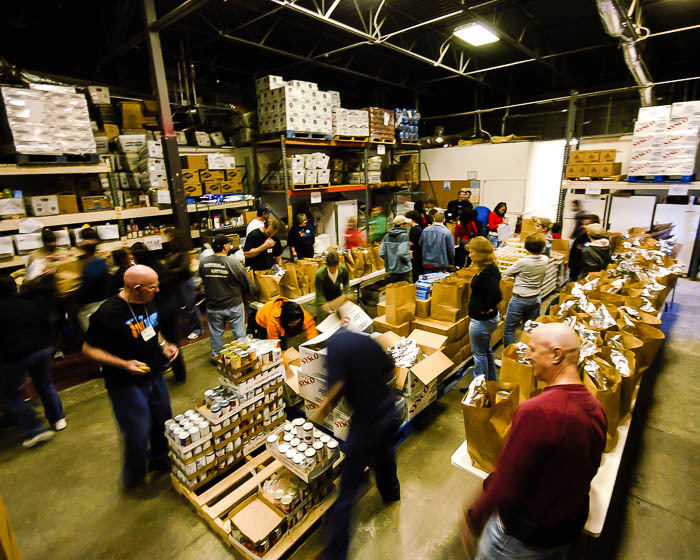 We are not affiliated with a specific church or denomination—but partner with a wide variety of churches, The Atlanta Community Food Bank, local civic groups, local business and individuals of faith throughout the West Atlanta area. 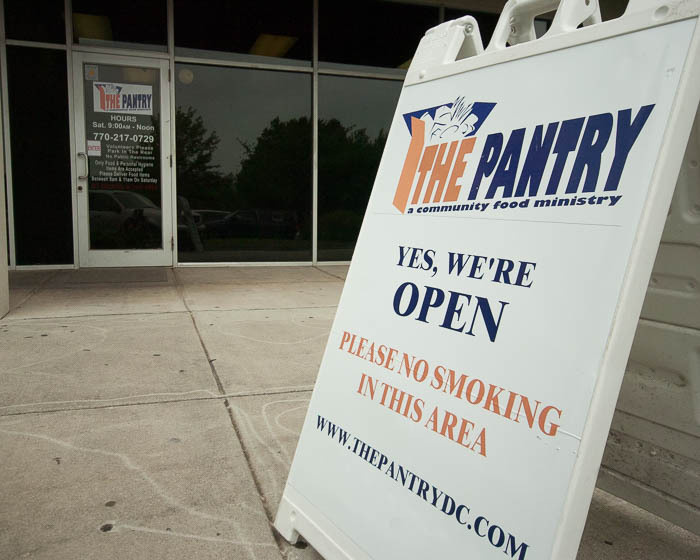 The Pantry has been serving hungry and hurting people since 2007. Since our opening The Pantry has served thousands of families. Today you can be among the next generation of Pantry “Peeps” by coming to be served, by volunteering to serve, by donating food, or by giving a monetary donation to The Pantry! 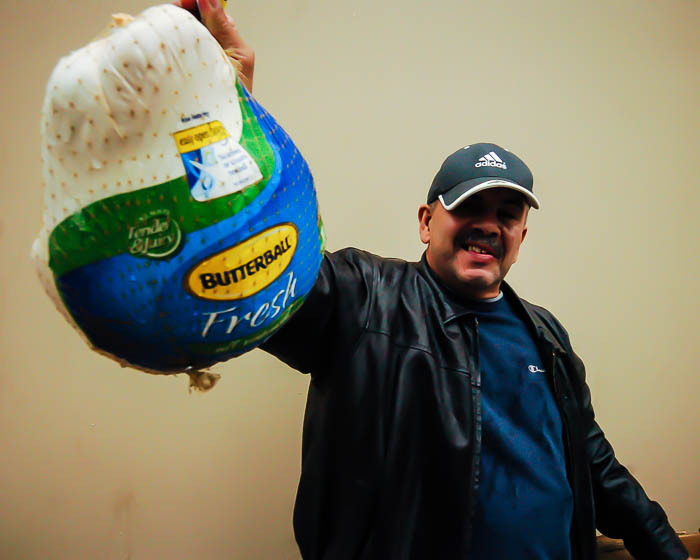 Hundreds of thousands of pounds of food are distributed to folks in need each year and all with a very joyful spirit. Our goal is to be the "the most loving place in the world!" It sure is a lofty goal but one that keeps us focused on serving without a judgmental attitude. We believe at The Pantry that we never know enough about any person's situation to sit in judgment over them. Our role is to love and love unconditionally! If you are in need come and visit us. If you want to donate you can do so now via our online giving or stop by and see us in action. We would love to meet you and perhaps you will catch the vision and become a "Pantry Peep" and serve with us! Want to Host a Food Drive for the Pantry? The Pantry works hard to responsibly and strategically stretch every dollar we receive! Every dollar donated purchases 6.25 pounds of food and will feed one person for an entire day.